How do gift cards get delivered? Our digital gift cards get delivered via email. Your customers can choose who gets the email (either themselves, or the intended recipient) and when (either immediately, or on a specific date/time). If you have some pre-printed gift cards/vouchers/certificates and want to accept postal orders, you can! 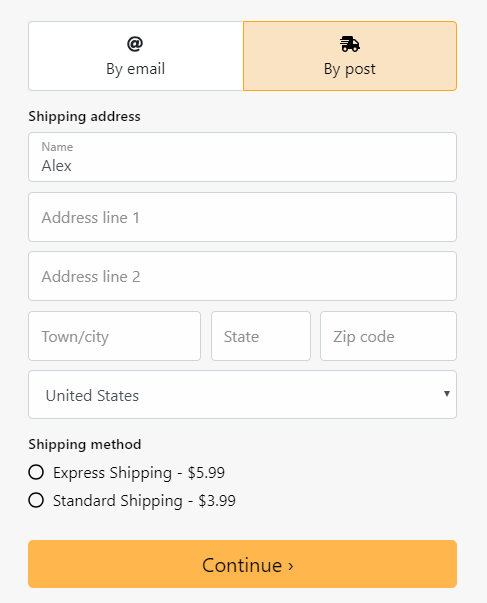 You can also charge for shipping and you'll be notified by email whenever we sell a gift cards that you need to post.